Park Holidays UK says the new properties at Landscove will be making one of Devon’s most famous holiday hot-spots far more accessible for home owners. 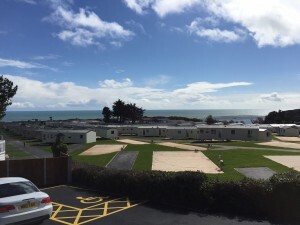 A new holiday home development has been officially opened at Landscove Holiday Park in Brixham, Devon. Marketed as a breakthrough in affordable luxury living, the new village provides 47 top-spec caravan holiday homes. Also available are 13 architect designed, two or three bedroom lodges . Park Holidays UK, operators of Landscove, says the properties will be making one of Devon’s most famous holiday hot-spots far more accessible. Owners of the homes will also be able to take advantage of an extended 50- week season on the park. Torbay Council’s tourism and culture chief, Nicole Amil cut the tape on the new village in April which signalled the start of a two-day celebration event.